Posted on September 18, 2014	by Derek "Gamer Crash"
Yes, you read that right. 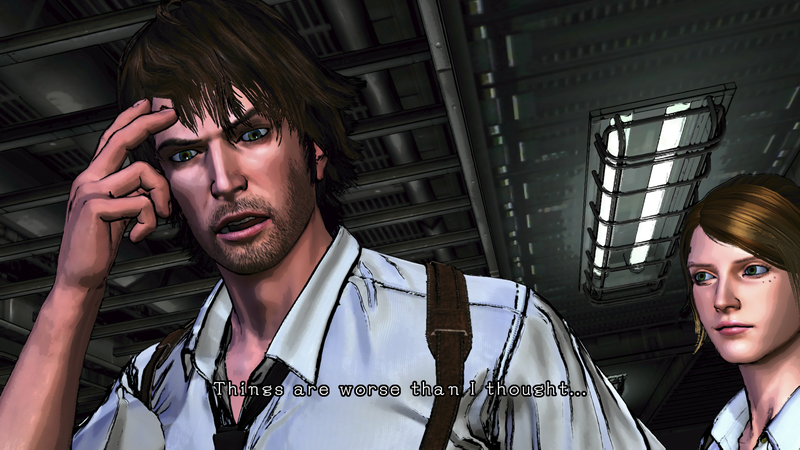 D4: Dark Dreams Don’t Die is the brand new game from Hidetaka “Swery65” Suehiro and it was announced yesterday over on Xbox Wire that the game’s prologue, first and second chapters will be launching tomorrow, September 19, 2014. Additional episodes will be released as they are completed in a similar way to what Telltale has been doing with their games. D4 follows David Young, a detective who’s trying to solve the murder of his wife. With the ability to experience moments that happened in the past by touching certain objects, he’ll use this power to bring the killer to justice while trying to deal with the game’s crazy cast of characters. If you’re looking for something a little more ‘out there’ and off the beaten path than look no further than Swery65. Some of you may remember to surreal and absurd title Deadly Premonition which kind of took on a life of it’s own and became a cult hit, inspiring things like Giant Bomb’s Endurance Run videos. While the game wasn’t review terribly well, it became loved for it’s campy and fun story line even with it’s overall flawed nature. D4 launches tomorrow (Sept 19) in North America on Xbox One for $15. if you want to know more about the game from Swery himself, make sure to read this article on the Xbox Wire. This entry was posted in News and tagged games, news, Xbox One. Bookmark the permalink.